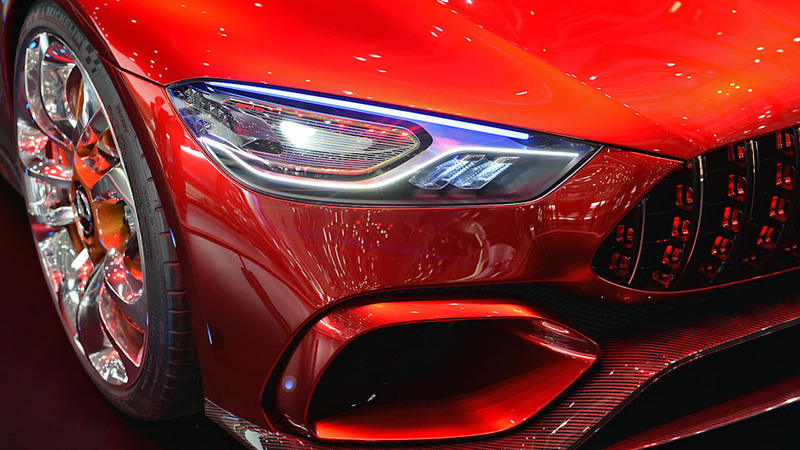 If this latest concept from Mercedes is any indication, it seems the AMG GT will have a four-door cousin in the near future, and oddly, it carries the same name as the coupe. 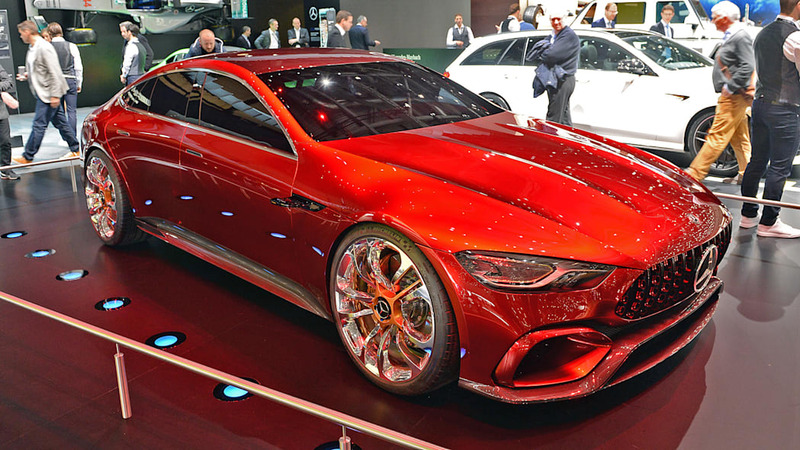 Called the Mercedes-AMG GT Concept, you wouldn't know by name alone that it was a sedan. Nor would you know that it's a hybrid. And yes, you read that right. This is a hybrid four-door with the same name as MB's current sports-car king. 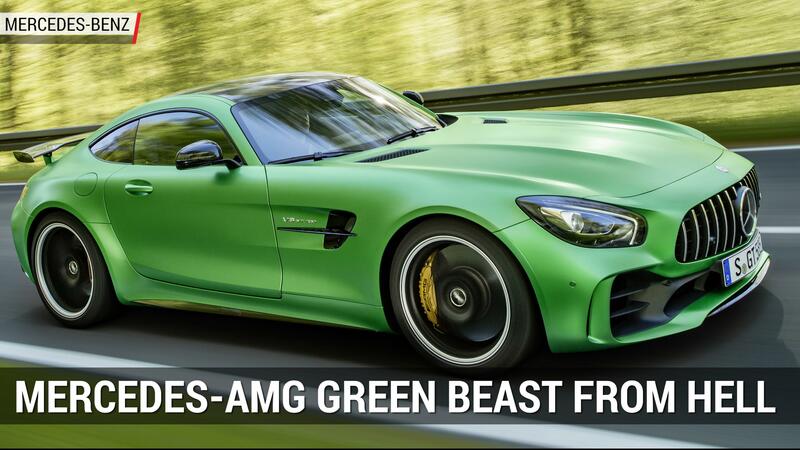 Don't panic, though, because this car packs performance worthy of the AMG GT name. 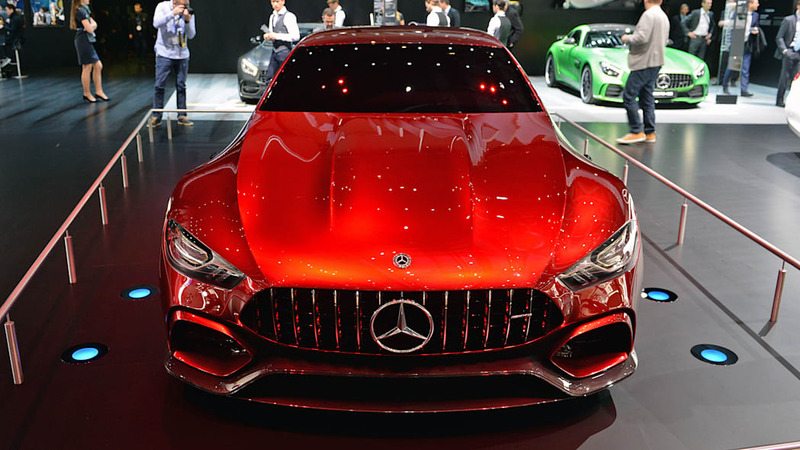 Up front is a twin-turbo 4.0-liter V8, which is likely the same found in the GT coupe. 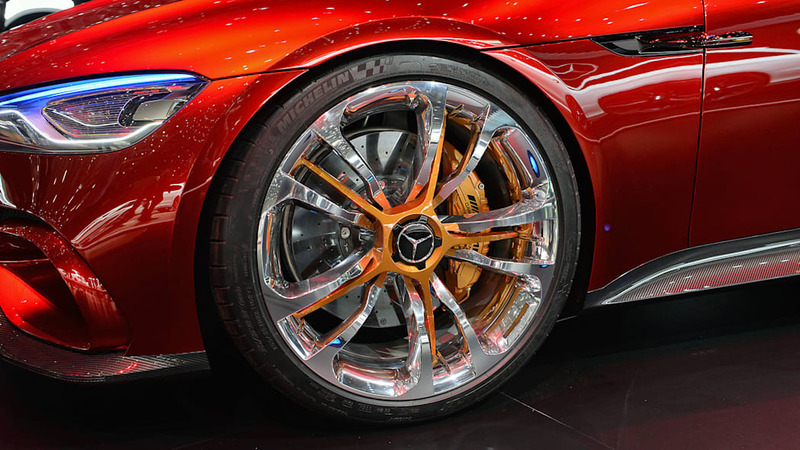 Coupled to it is an electric motor that Mercedes claims brings total output to a whopping 805 horsepower. 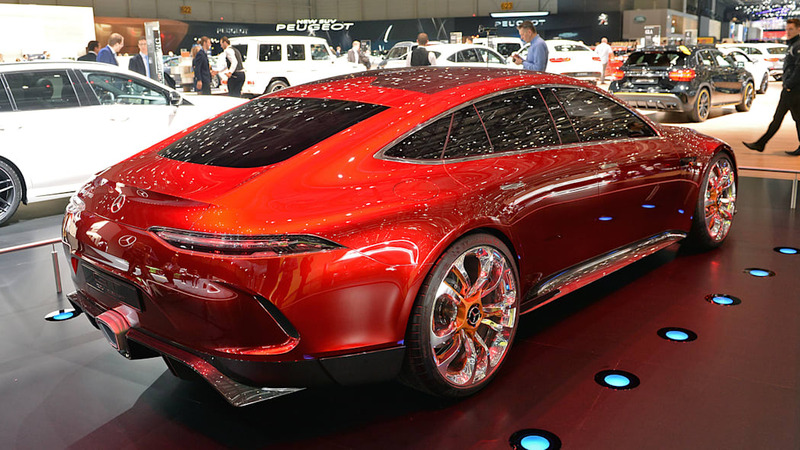 Power is sent to all four wheels, and the German automaker claims the drivetrain will hustle the red sedan to 60 mph in under 3 seconds. Also, although the car doesn't mention anything about its hybrid nature in its name, it does have a badge that says "EQ Power+," which represents the hybrid system and will appear on future performance hybrids from Mercedes. 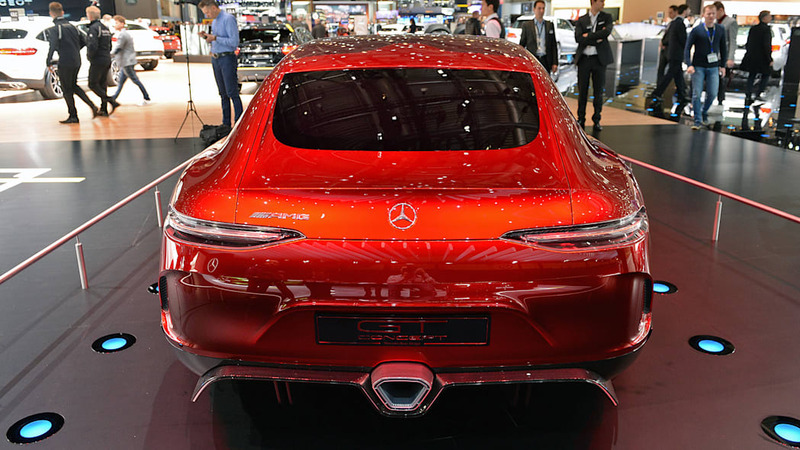 Aside from a high-performance powertrain, the AMG GT Concept is also styled to be like the production coupe. 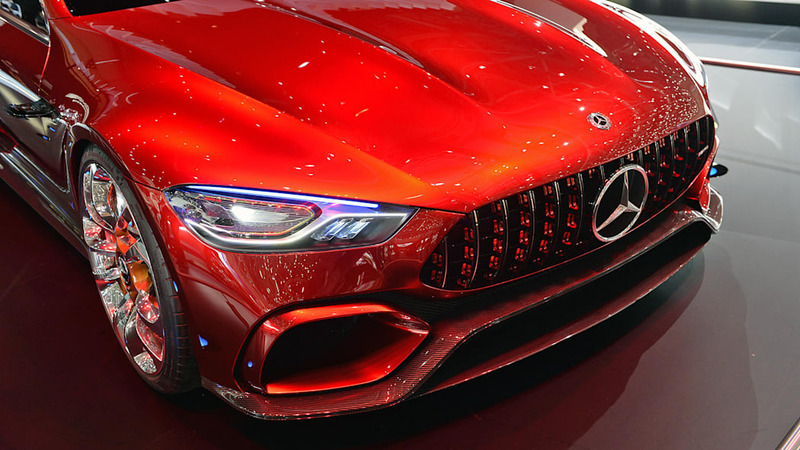 The nose has a rendition of the coupe's "Panamericana" grille and its vertical bars, as well as familiar-looking air inlets in the bumper. 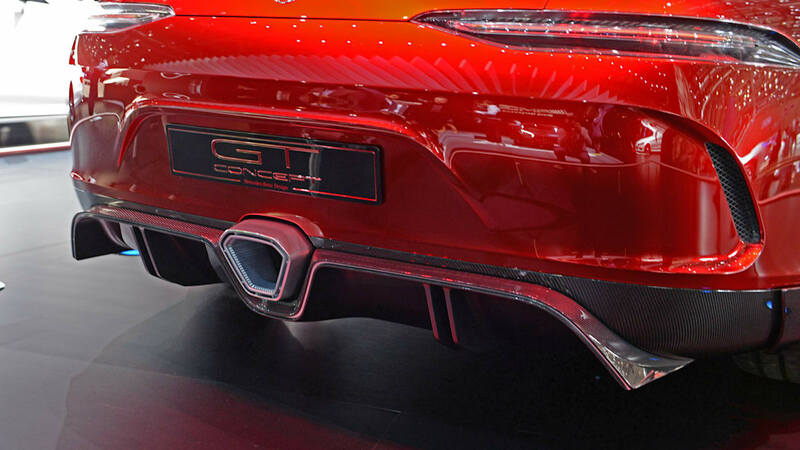 The car's grilles even feature active shutters like those found on the GT R. A long, arching greenhouse leads to the rear, where the car has bulging fenders and narrow taillights that, you guessed it, look like those on the coupe. 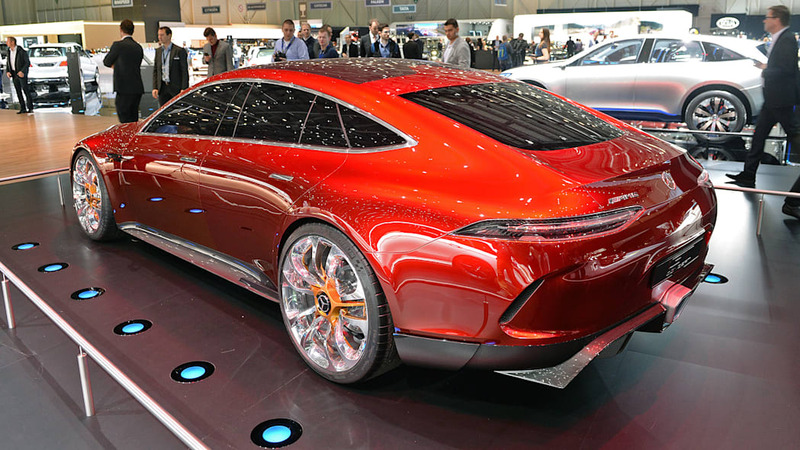 Mercedes didn't provide any information about how likely we'll see a production version of this GT Concept, but we'd say there's a very good chance. 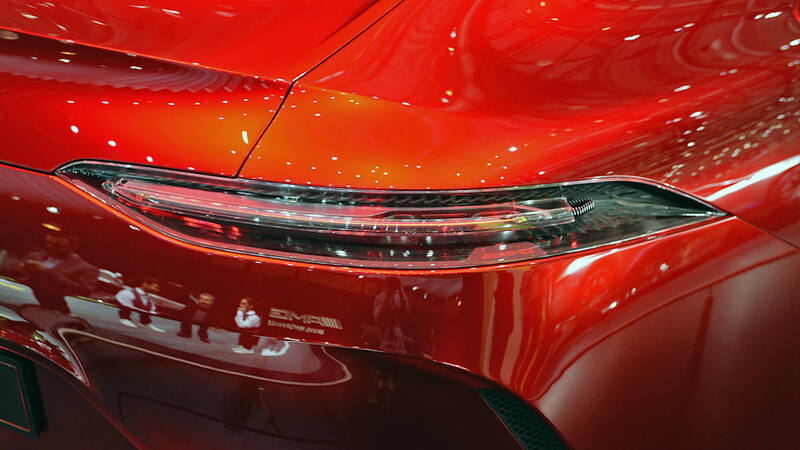 Other than details such as the fender-mounted cameras replacing side-view mirrors, the car's design looks roughly production-ready. It also would be an excellent competitor to other high-performance sedans, particularly the Porsche Panamera. And if it were to launch with a hybrid powertrain, it would be a great halo model for an electrified range, just as the BMW i8 helped kickstart BMW's i range of vehicles.